I have been dying to share this gorgeous jumpsuit from Loyal Hana with y'all! It's seriously my new favorite and for so many reasons. It's cute, comfy, maternity friendly, and absolutely perfect for nursing. How you ask? That's where my favorite part comes in...the hidden nursing zippers! Is that not the most amazing idea ever?! I am soo excited to be able to rock this cute outfit postpartum without any worries when it comes to breastfeeding my little guy. I might even wear it home from the hospital! All of Loyal Hana's items come with these secret nursing zippers that are so discreet, you can't even tell they're there. Even better? The clothes are such high-quality and I can just tell they're going to last me a lifetime. I love this brand and I love how versatile all of their pieces are. I will definitely be rocking my Loyal Hana pieces long after my breastfeeding days are over! 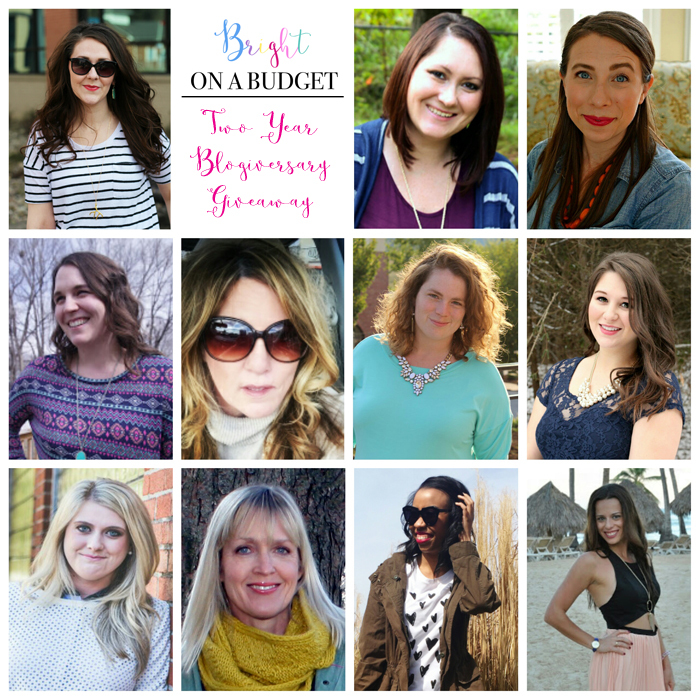 My sweet friend Tif is celebrating her 2nd blogiversary over at Bright on a Budget with a fabulous giveaway! I'm so excited to be a part of it and celebrate with her! Use the Rafflecopter below to enter to WIN this adorable Kate Spade handbag and a $25 gift card to Target! Giveaway closes at 11:59pm EST, Wednesday March 23. Definitely check out all of these lovely ladies! They have great style and great hearts!